As much as we love time in the pool, we also love time spent around it. Your pool deck is a place for your family and friends to gather, a place to host meals and entertain. We spend so much time making sure your pool is winterized, we often neglect the deck that surrounds it. Before winter hits, take these steps to properly protect and maintain your pool deck. Sweep your deck to remove all leaves, loose dirt and other debris. A basic broom should do the trick to remove all of the bigger debris and make step 2 easier. Once your decking is clear of debris, use a power washer to get a more thorough clean. Whether wood, cement, stone, brick or composite, your deck should be power washed to remove ground-in dirt and stains from everyday use. Remove and store your deck furniture, potted plants, grill, fire features, and anything else that may invite mold and mildew to grow. Moving these items will help avoid staining that will be hard to remove come spring. For a wood deck, stain and/or seal your decking to add a layer of protection from the ice and snow. Sealing your deck will also protect against moisture and sun when it is pool season again. For concrete decking, seal the concrete in the fall and be prepared to fix potential cracks that can occur from freezing and thawing throughout the winter. When winter weather hits, shovel your wooden deck to remove snow from your pool decking. Avoid corrosive products like ice melt and salt that will cause damage to your decking material. By shoveling after every storm, you will help to avoid moisture and snow weight from causing issues with your deck’s integrity. Select a shovel without a metal edge to avoid scratching your deck’s surface. Consider a deck cover that will further protect your decking from winter woes. Follow these steps and you will be well on your way to maintaining a beautiful entertainment space for your family and guests to enjoy year after year. Your backyard and pool patio has never looked so good with Plank & Hide Company’s outdoor furniture! Shop your favorite look today from their catalog and contact us to place your order. We are very excited to now be carrying The Outdoor Greatroom Fire Pit Tables! Stop by our Retail Store to check out the Kenwood Fire Table and Intrigue Table Top Lantern on display! Nothing ruins a pool party like a swarm of relentless mosquitoes ready to make you the main course at the BBQ. Don’t let pesky, disease-carrying pests ruin your time. Consider these ideas to make your pool area less appealing to mosquitoes. When it comes to mosquito management, you’ll want to use a combination of these recommendations for best results. 1. Remove standing water and fill in holes in the yard. Stagnant water can quickly become a breeding ground for mosquitoes. Be sure to inspect your yard after rain for these areas and fill them in to remove the problem. 2. Utilize a solar cover. Solar covers have many benefits, one of which is to keep insects out of your pool. As an added bonus, you will keep your pool water from evaporating as quickly, while using the sun to help heat your pool. 3. Invite mosquito predators into the yard. Bats, dragonflies, birds, tadpoles and fish are just a few of the critters that enjoy feasting on adult mosquitoes and larvae. If you make your pool area inviting for these animals, you will have some help managing the mosquito population. 4. Keep up with maintenance. Maintain a clean and balanced pool to keep mosquitoes at bay. A dirty pool will have the opposite effect. 5. Maintain the landscaping. Remove rotten leaves and debris that also hold water. Be sure to check under things (like your deck) for rotting organic material that are sure to become home to mosquito larvae. Some plants are said to have insect repelling properties and naturally repel mosquitoes. 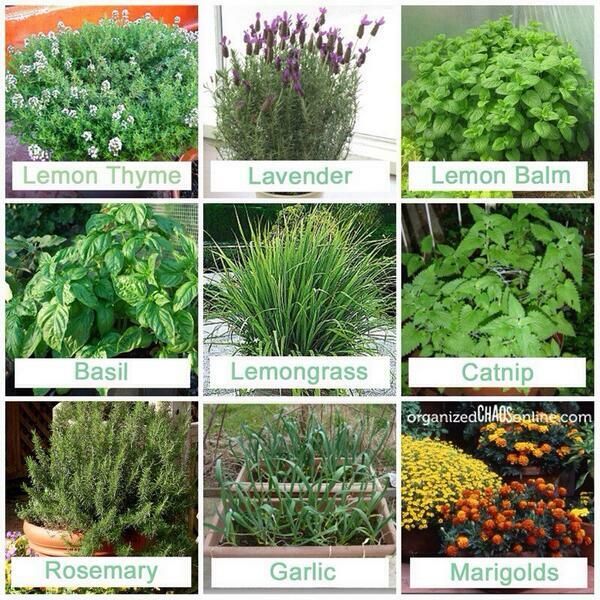 Try planting lemon thyme, catnip, lemon balm, lavender, basil, garlic, rosemary and marigolds as deterrents. 7. Try to trap them. 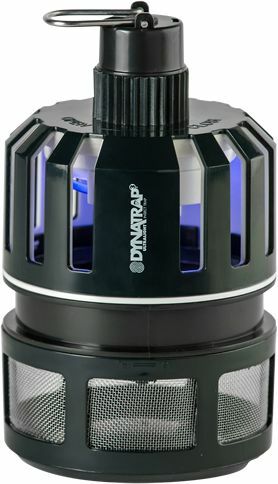 Portable mosquito traps work by attracting insects through light and CO2, mimicking human movement and capturing them. Many people prefer this method to insecticides that utilize chemicals to kill off mosquito populations. 9. Build a bug-free enclosure. Installing an enclosure around your pool brings your outdoor pool indoors with regards to keeping bugs out. Enclosures are often used in tropical climates where the mosquito populations thrive in the mild, wet weather. Adding mesh curtains around outdoor dining areas for instance, will make your yard more pleasant for gathering. 10. Encourage a strong breeze. 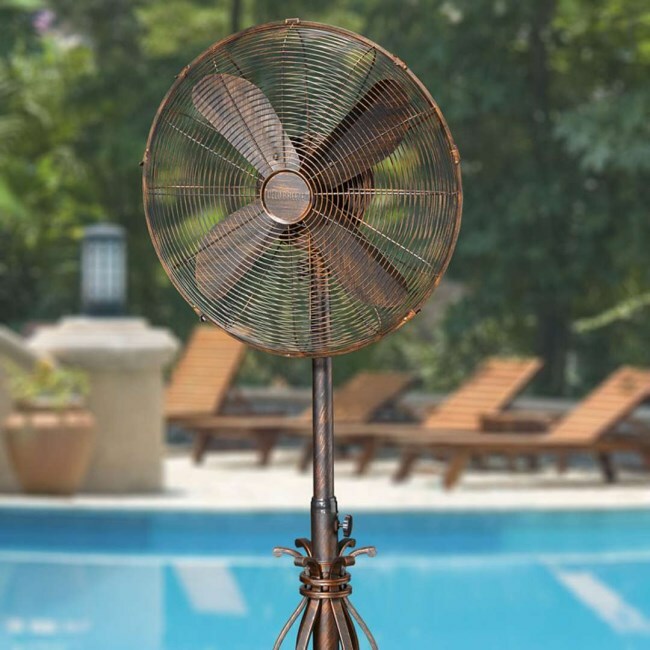 Get creative with your approach and try installing outdoor fans. The wind will keep mosquitoes away from the breezy area because they are weak flyers. We hope you’ll find these tricks helpful for mosquito management in your yard. Do you have any mosquito fighting tips that we left off the list? Leave your suggestion in the comments!